Heat oven to 350°F. Lightly spray cookie sheet with cooking spray. Remove dough from can. Cut dough in half crosswise; cut each half lengthwise into quarters. Roll quarter piece of dough into a rope 15 1/2 inches long. Cut 1/2-inch piece off the end, and roll into a small ball for the tail. 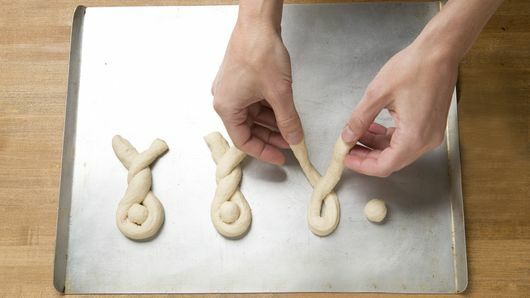 Fold dough rope in half, and loosely twist twice. This will be the body of the bunny. Leave ends long for the bunny ears, angled up for ears. Place on cookie sheet. Press ball of dough into folded end of twist for the bunny tail. 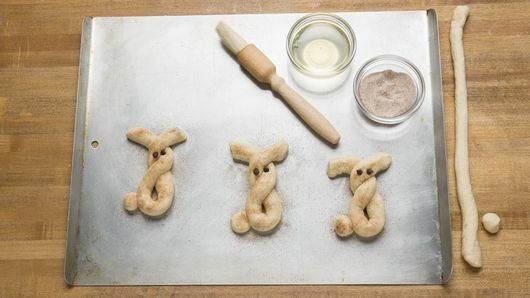 Repeat with remaining dough to make 8 bunnies. Brush dough with egg white. In small bowl, stir together sugar and cinnamon. Sprinkle evenly over dough. 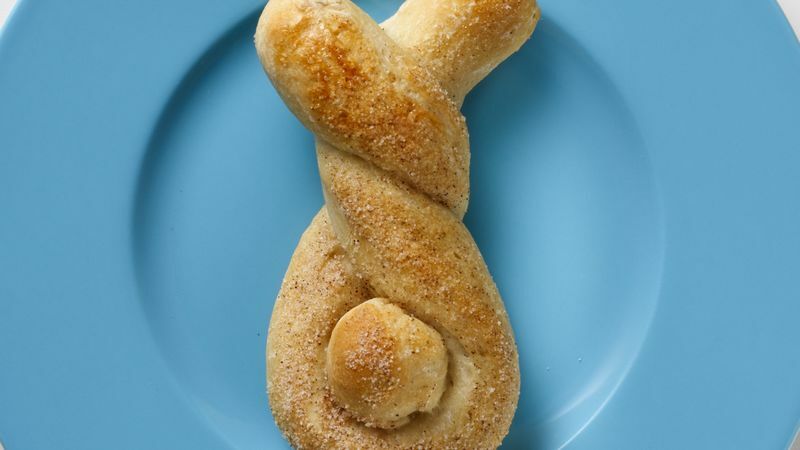 For added flavor, try brushing the dough with maple syrup before sprinkling with cinnamon and sugar. Serve these sweet buns with coffee or orange juice and a big bowl of fresh fruit.